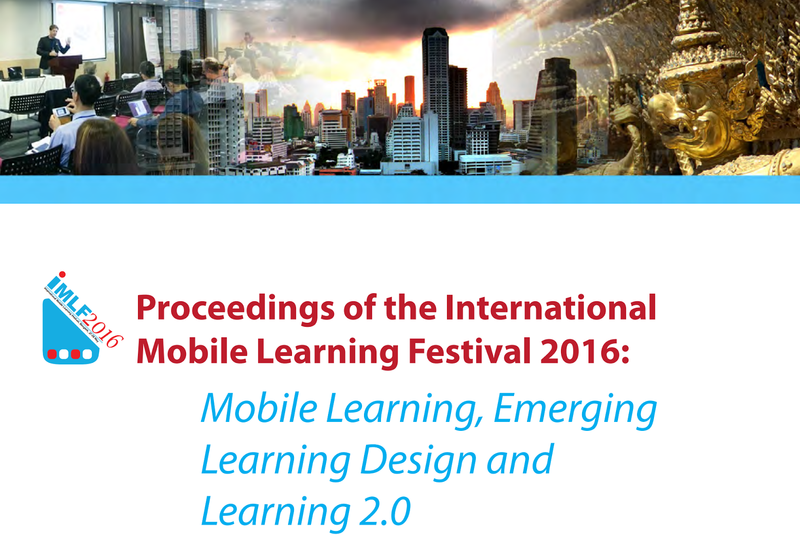 This is a really wonderful set of papers that encompass the latest mobile learning realities and implementations. The proceedings were disseminated before the actual IMLF2016 conference start in Bangkok, providing a nice bit of reading. Mobile devices transcend the educational affordances provided by conventional tethered electronic and traditional learning. However, empirical findings show that educators are not integrating technology effectively into the curriculum. In this study, a thematic synthesis methodology was used to develop and present a framework for thinking about the integration of mobile devices in teaching and learning. The mobile learning (mlearning) integration framework is comprised of four main parts: beliefs, resources, methods, and purpose. 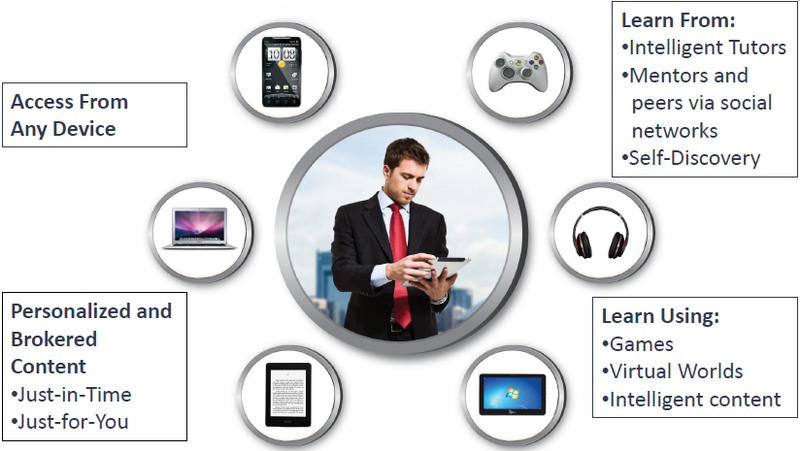 These four areas are elucidated to reveal the many sub-components that determine how technology is integrated. An ecological framework is then presented to demonstrate how the individual parts of the initial framework operate through a complex, interconnected network of systems involving personal and environmental factors. Online xAPI course, provided by the xAPI developers. You can pre-register for the course now, and it goes live from the 26 May 2016 (until 30 June). Full details are available on Course Hubpage on the Curatr website. Join this MOOC to explore both the technical realities and the strategic possibilities of the xAPI. If you want to write your first xAPI statement and understand the difference between an Activity Type and a Context Extension, this is the place to be. Equally, if neither of these things mean a darn thing, we are the community that will help you make sense out of your data strategy, and your roadmap for the medium term. Starting late-May, the course will run for 5 weeks with full facilitation and a series of live events throughout June, and then remain open for the rest of the year. The conversation has already started on Twitter, using the course ID as a hashtag #LearnxAPI – so why not head over to see what’s being said and to lend your voice to the conversation. We’re running a demo version of Learning Locker v2 alongside this MOOC and you can connect up your activity to the LRS to get a feel for the next generation of Learning Locker. V2 isn’t ready for Open Source release yet, so you’re getting a head-start on the crowd by joining the MOOC. Same as last year, we’ll be running two streams - one that covers xAPI strategy, and another which focuses on technical aspects. Week 4 - Aaron Silvers updates on the new Data Interoperability Standards Consortium (DISC) which aims to bring standardised conformance testing to ensure that vendors saying they ‘do’ xAPI, really do know their stuff. Welcome to Learn xAPI 2016 #learnxAPI from HT2 on Vimeo. This is a wonderful opportunity for anyone with a clear MOOC idea, but still wondering which platform to use. The EMMA platform supports multiple languages, which includes an automated translation of transcripts of your MOOC content to the other languages (English, French, Spanish, Italian, Portuguese, Dutch, Estonian). The platform uses a wide array of learning analytics and survey tools, peer assignment options and a student toolbox. 20 MOOCs will be selected out of all the proposals that are sent in. To participate (= sending in your MOOC proposal), you only need to provide the usual contact information, a short MOOC description, your community of interested learners (for promotional purposes), and the languages you will use. Deadline for submitting your proposal: 30 May 2016, although the deadline is close by, the information needed is doable in a short time span. Just do it, this is a great opportunity to have access to a great MOOC provider with multiple language options for free. 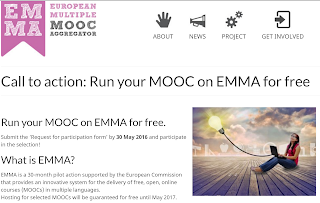 What is EMMA?EMMA is a 30-month pilot action supported by the European Commission that provides an innovative system for the delivery of free, open, online courses (MOOCs) in multiple languages. Hosting for selected MOOCs will be guaranteed for free until May 2017. 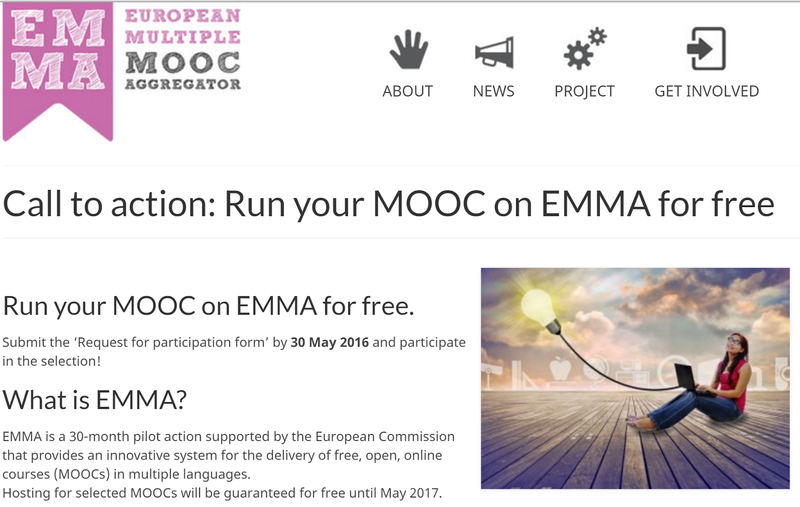 Free hosting of your MOOC on the EMMA platform. Use of the automated translation system for your videos and lesson texts (8 languages available). Use of tools for peer assignment and student toolbox creation. Use of learning analytics, tracking and ad hoc survey tools. The support of a professional communication service for student recruitment and institutional visibility. 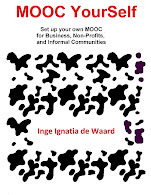 Access to a community of MOOC providers willing to share their know-how and experience. Willingness to give feedback on the EMMA experience. Willingness to edit automatic transcriptions and translations. Willingness to collaborate on EMMA activities. Conformity to the EMMA quality standards. Reputation of the teacher/expert/institution affiliated to a discipline. Presence of an active community linked to the teacher/expert/institution. Number of languages in which the MOOC will be delivered. Only submissions received by the deadline will be considered. Should your proposal be selected, our team will support you in the delivery of your MOOC. Conference dates: 30 November - 2 December 2016. Deadline for submitting a proposal: 1 June 2016. 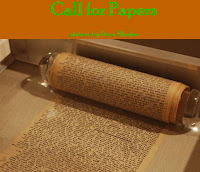 Submission page can be found here. The OEB conference gathers over 2000 participants from around the world. It is inspiring, as well as a great networking conference. The theme of 2016 is 'Owning Learning'. Tomorrow’s learning is about ownership. We will own our learning. We will control what, where, when and how we learn. We will access, link, combine, interpret and interact with knowledge. We will be empowered as never before. We will make learning work for us. OEB 2016 is all about the new world of the empowered learner - a world in which learning is owned by learners. Conference dates: 4 - 7 January 2017. Deadline for submissions: 15 June 2016. Dan Suthers, Maarten De Laat and Caroline Haythornthwaite invite papers for the Learning within Digital and Social Media mini track at the Hawaii International Conference on System Sciences, (HICSS-50). "We solicit papers on how human learning takes place via interactive and social processes enabled or supported by digital and social media. We seek to bridge disciplines and research communities between system and learning sciences, so within this scope a broad range of research questions, learning settings, and theoretical and methodological traditions will be considered. Contributions may include new design approaches, theoretical perspectives, learning analytic techniques, policy implications and/or other research results relating to the relationship between digital and social media and learning. 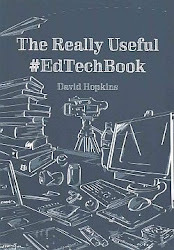 Studies may be situated in formal or informal learning settings, and we particularly encourage studies of learning "in the technological wild". 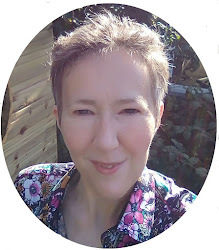 * ethical issues relating to learning online, including issues relating to data capture, analysis and display, and learning about controversial subjects or anti­social activities. HICSS 50 and the "Big Island"
The Hawaii International Conference on System Sciences, in its 50th year, is one of the longstanding scientific conferences and is highly ranked among information systems conferences. Diverse disciplines unified by a focus on information technologies are woven together in a matrix structure of tracks and themes. By attending HICSS you are not only reaching the audience of your track and mini-track; you also have the opportunity to learn about what is happening in related fields and meet leaders in those fields. Mini-tracks within the Collaboration Systems and Technologies and the Digital and Social Media tracks are particularly relevant. The people from the European Multiple MOOC Aggregator (EMMA) asked me to contribute my view on the Future of Education. So I recorded a talking head video (added below the slide deck), and accompanied it with a slide deck. In this This video proposes the Future of Education as the realization of human telekinesis and telepathy as a result of merging the quantified, qualified, and connected self. By reaching a telekinetic and telepathic state of mind, more time is left to dedicate to each of our personal learning goals. But in order to reach this connected state we must provide more curated content (like MOOCs), achieve a better understanding of how the mind works, and promote open access and open data. The video also offers two possible assignments.